In the previous post we looked at using glass ionomer based cement for full coverage restorations made from metal based or high strength ceramic materials. The category of self-etching or self-adhesive resin cements has been gaining in popularity and can also be used for cementation of restorations made from these same materials. 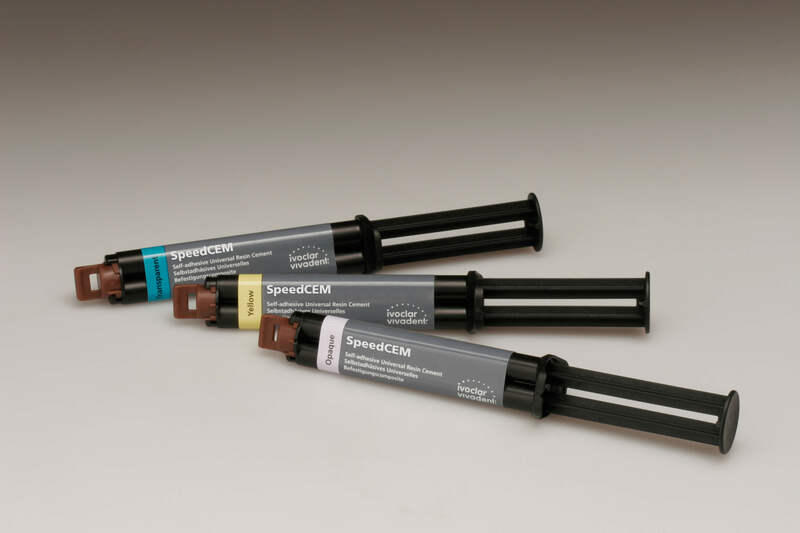 One of the advantages of these category of cements is that they are available in a range of colors including translucent or neutral to allow optimal esthetics. This allows us to use them under highly esthetic ceramic materials without increasing the opacity or value of the final result. Self Adhesive resin cements are dual cure allowing for easy cleaning following a brief period of light curing from the buccal and lingual, and continued dual curing where light penetration is inadequate. The materials typically transition from an acidic pH to a neutral pH during setting. It is the initial acidic pH that is responsible for the self-etching properties. Bond strengths range from low (5-8MPa) to medium (8-15 MPa). Self Adhesive resin cements cause reduced levels of tooth sensitivity and provide good seal against microleakage. Light curing these materials increases their flexural strength. There are numerous materials in this category available on the market. The directions and clinical uses for each are different, so make sure you are fully versed in how and when to use the brand you have purchased. Some disagreement exists in the industry about whether the adhesive retention of this category of materials is sufficient to retain restorations long-term on teeth prepared without adequate mechanical retention and resistance form. The tooth preparation should be evaluated carefully, and a true light or dual cured resin bonding system utilized if the ultimate retention is predominantly adhesive and not mechanical., as in veneers and onlays. Additionally, the dual cure chemistry can result in these materials not being color stable over years, so caution is advised when considering them under thin or translucent all ceramic restorations in the anterior. 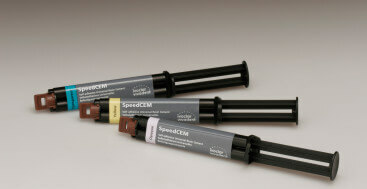 Packaged in syringes with self mixing tips or capsules these materials are efficient and easy to use.